Who doesn’t want to live in a house that is well decorated with ornate walls and corners? If you’re not exactly blessed with designing skills, you can contact a false ceiling contractor to get your house renovated. 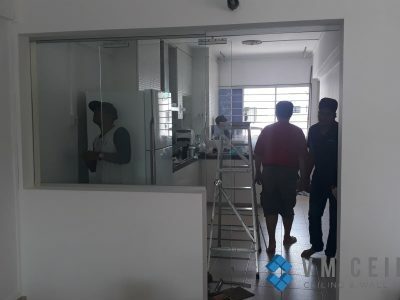 They are well-equipped with modern ceiling design skills and are able to guide you throughout the renovation period. 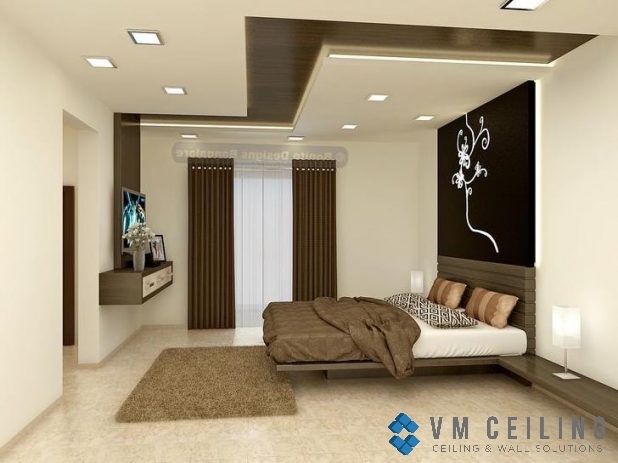 Gone are the days when you have to settle for simple ceiling designs with flat and boring surfaces. 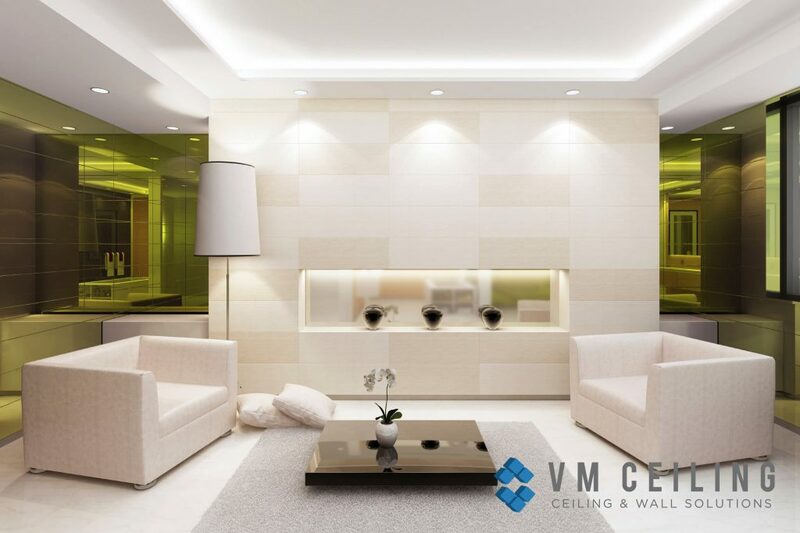 False ceilings conceal unpleasant wirings and give a smooth and homogeneous texture to the wall. You can use various materials to give it a more ornamental look. 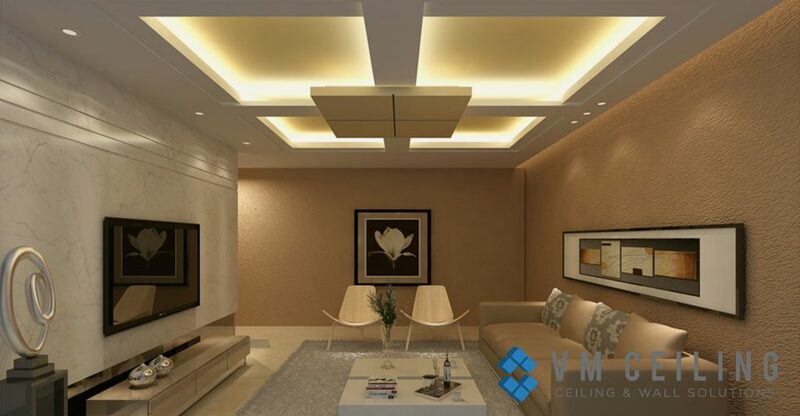 Whether you want a simple ceiling design or a luxurious aesthetic feel; you must go for false ceiling renovation. 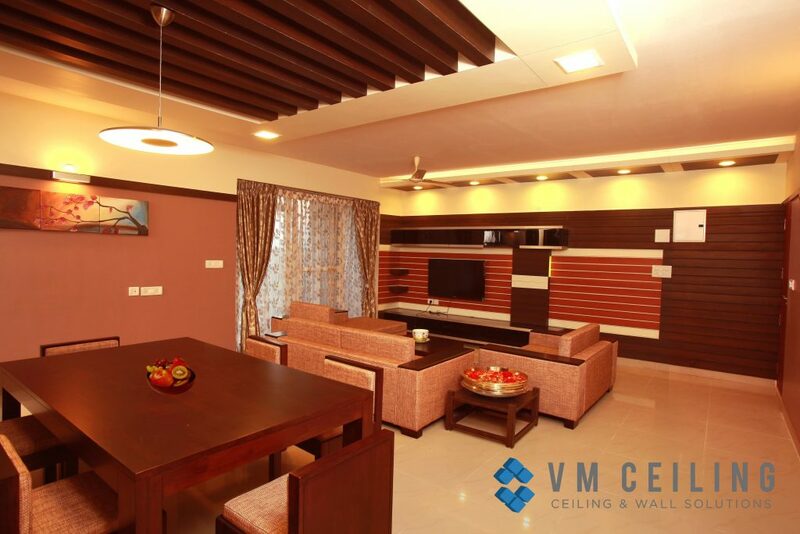 When you are planning to install a false ceiling in your living room, do not cover the whole of the wall. Cover only a limited area of the ceiling, preferably with curves and geometric design. You can color the false ceiling using the same color as the symmetrical walls. You may also enhance the design using texture paints. 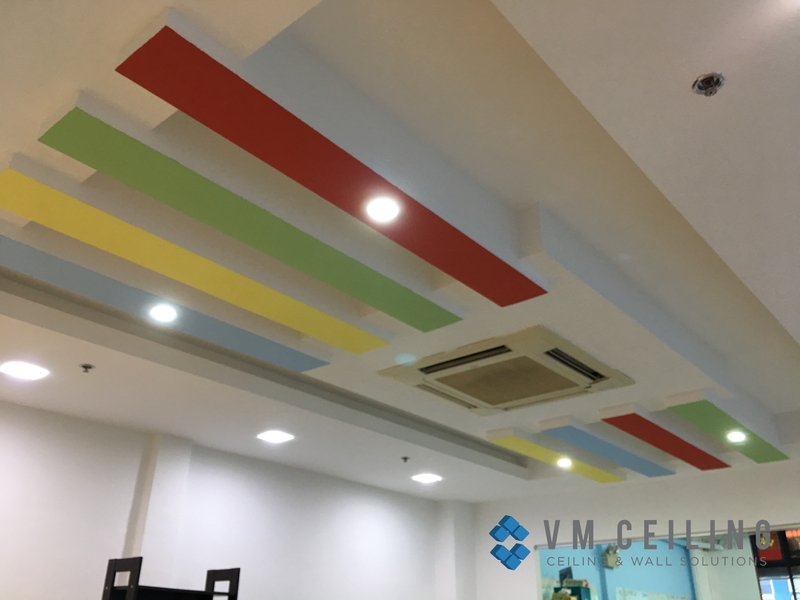 While painting the false ceiling, always go for white or light colors. 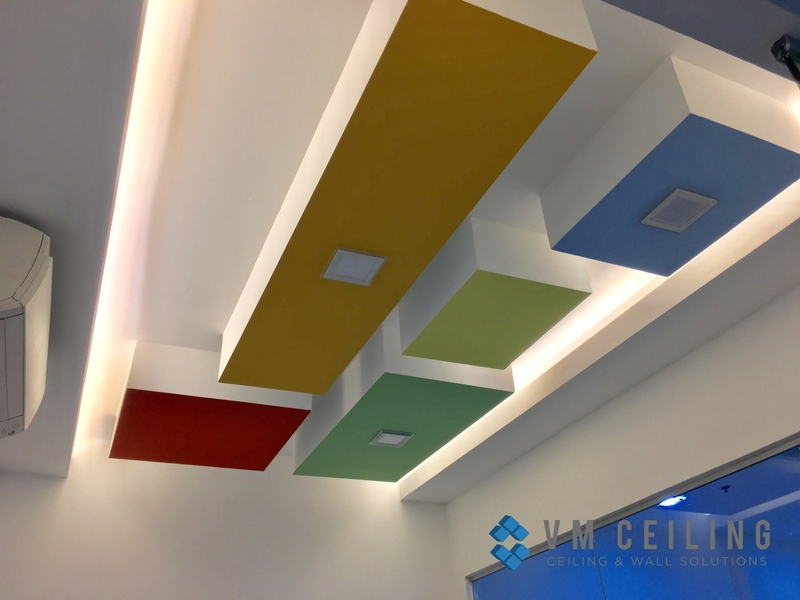 These colors enhance the beauty of the ceiling that can be especially complemented with additional lighting. You can go for dark headed designs at some places by balancing the color palate. 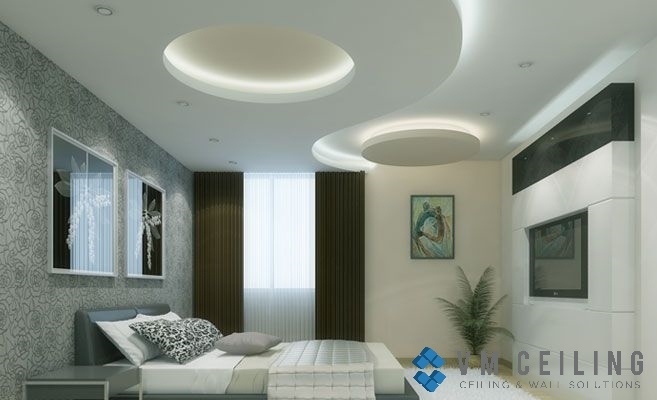 People usually prefer geometrical designs on the false ceiling as it immediately catches the eye. However, curves are also equally popular. If you prefer Plaster of Paris over the boards, you may go for curves and paint it white. They look more organized and adaptive to your living area. 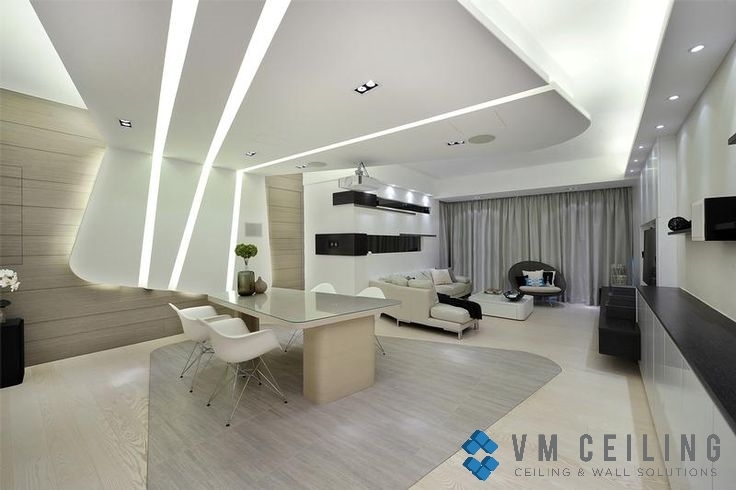 If you are adding led lights or tray lighting to your false ceiling, and then always goes for geometrical patterns. Hidden lights in darker and lighter tones are placed to maintain striking balance among different patterns. 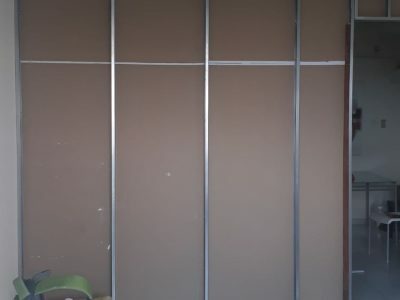 If you’re into checks and blanks, then go for it on your ceiling walls. Not only do they complement any type of interior, but they also do not look heavy on the eyes and keep the ambiance cool and relaxaed. If you like simple ceiling design, it doesn’t mean you are away from the modern arrangements. You can deck up the simple looking design with beautiful lightings. Use bright lights and color to liven up the ceilings. You can use texture paints on the ceiling and hidden lights for a visual effect. Who says only scientists love the moon and planets? 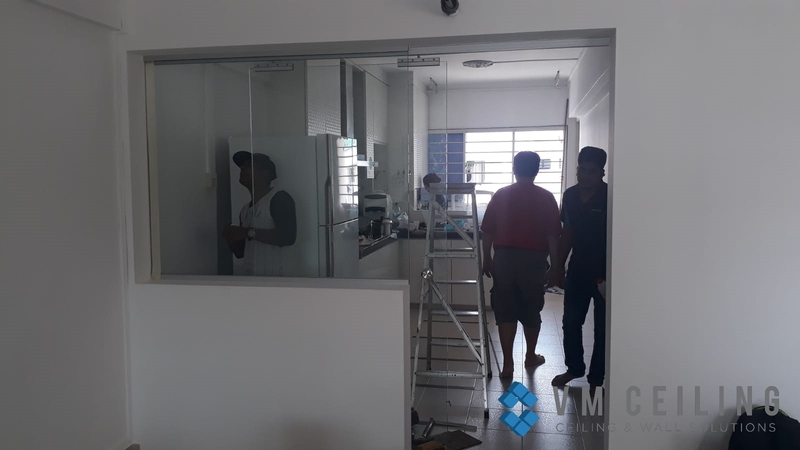 If you are among those who have sheepishly admired the round planets and the shape of the moon, you may use this to decorate your false ceiling. Simple round incisions are handy and give a beautiful look to the ceiling. These designs can be decked with vibrant lights to give you a “feel” of outer space. 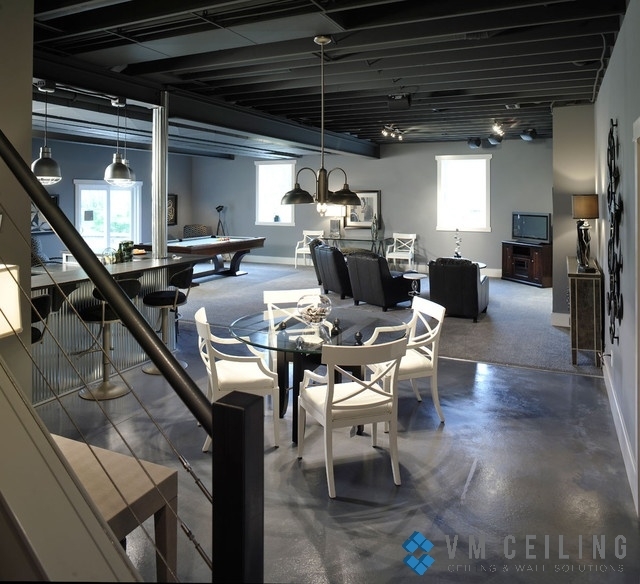 If you love to give a classic touch to your house, then go for dark shades of color in the ceilings. Use darker shades of brown and striking colors to match up the classic look. 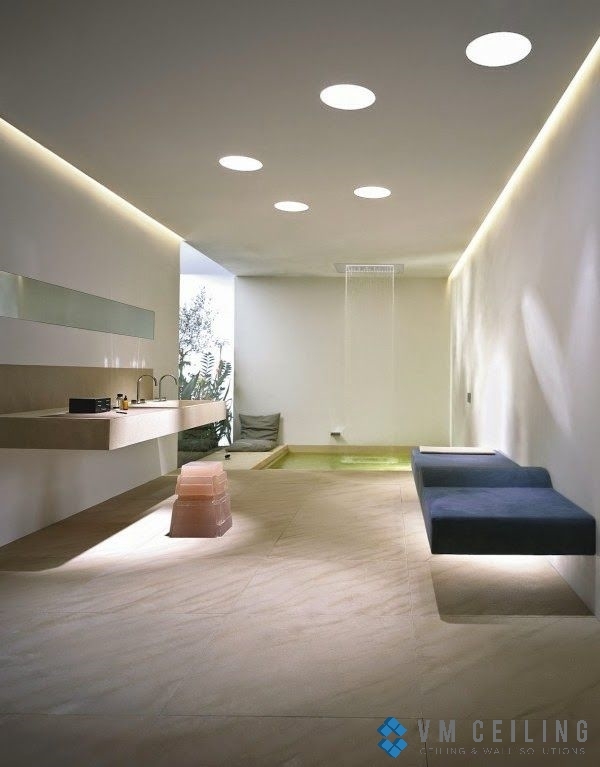 Accentuate the lofts with the thoughtful light installation. For those who are lively and love everything in gold and silver, you can add your liking to the ceilings as well. Glitter up the ceiling with a pinch of golden and silver paints with strikingly balanced lights. People who love to experiment can go for ornamentation by adding glass fibers and sprinklers in the false ceiling. 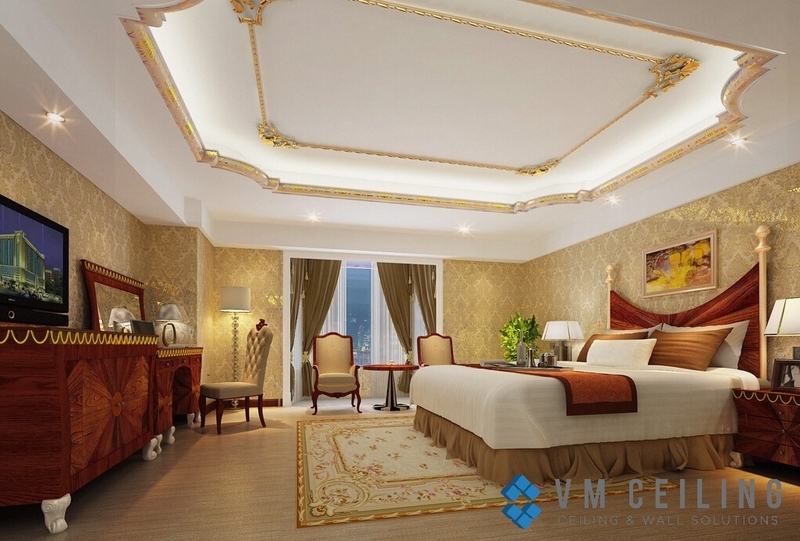 The false ceiling design is not only limited to the ceiling. 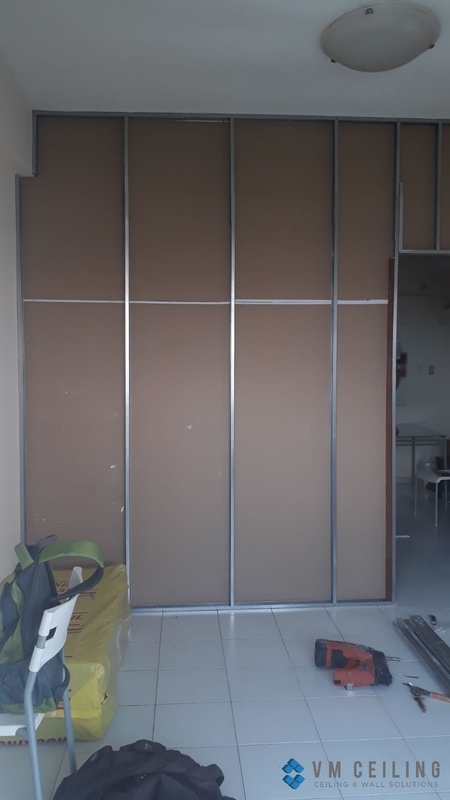 You can extend the design to the floor by making steps, pelmet, drop walls etc. This can be done on one portion of your walls, giving that part more unique than the rest of the walls in your house.